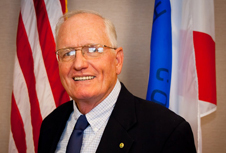 Commissioner Larry V. Payne is a life-long resident of Etowah County. He is married to the former Greta Gunn of Attalla, and they have four children and nine grand-children. He and Greta attend the First United Methodist Church of Gadsden. Commissioner Payne attended public schools and graduated from Gadsden High School and Jacksonville State University (B.S. 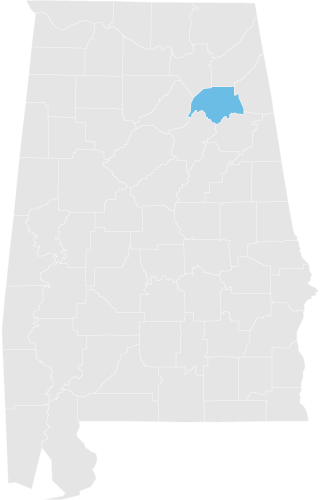 Education); with additional degrees from Salve Regina University (Masters in Management), Associate Degree from Gadsden State Community College (Insurance), U.S. War College, Alabama County Commissioner’s Institute, and Auburn University’s Intensive Economic Development Course. Larry’s work experience included 35 years with ALFA Insurance. Also, he worked as laborer at Republic Steel Corporation, and a teacher in the Gadsden City School System. While with ALFA Insurance he held several sales records and received many company awards to include the highest company award as Agent of the Year for the company in 1996. In addition, he participated in the insurance professional association locally as President of the Gadsden Association of Life Underwriters in 1974-75. He served as Area Vice President of Alabama Life Underwriters in 1975. His work rendered him the honor of Life Underwriter of the Year in 1974- Commissioner Payne also served 30 years in the U.S. Army and Reserves, retiring as a Colonel and Commander, First Simulation Group, First Brigade, 87th Division. He received various awards and commendations to include the Legion of Merit, the Air Assault Badge, the De Fleurey Award just to name a few. In 1989, he was recognized as Jacksonville State University Military Alumni of the Year. Civic involvement has been a key part in Larry’s contribution of service to his county. He has served as President of the Gadsden-Etowah Chamber of Commerce, President to the County’s Cattlemen’s Association, Etowah County’s Patriot of the Year 1990, President of the Etowah Chapter of the Son’s of the American Revolution, President of the Gadsden Lions Club, Civilian Excellence Recognition Award JSU in 2005, and has served on many civic boards. Commissioner Payne served as a member of the State Republican Party Executive Committee for 15 years and locally as Chairman, Etowah County Republican Party. He and Greta operate a small cow/calf business. Serving District 3, Etowah County Commissioner for six years he will continue for four more years after November election. He is unopposed. Singing has been an enjoyment to Larry. He helped organize the Gadsden Ambassadors Quartet which was a promoter of this county where ever they sang and presented their program- locally statewide and other countries. He also participated in many of the Gadsden Civic Theatre musicals in the 1970’s.